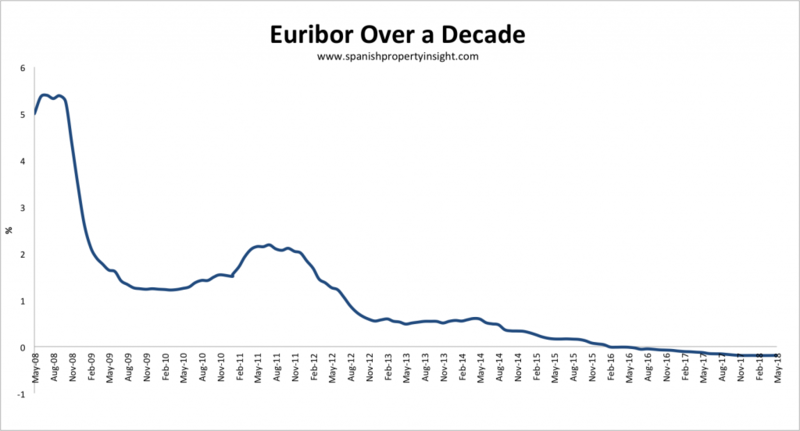 12-month Euribor, the base rate used for most mortgages in Spain, came in at -0.188 in May, a fraction higher than the month before, but 48% lower than the same month last year, which is what counts when it comes to annually resetting mortgages. As a result, borrowers in Spain with annually resetting Spanish mortgages will see their mortgage payments fall by around €3 per month for a typical €120,000 loan with a 20 year term. Euribor’s downward trend deep into negative territory looks like it has run its course, as you can see from the chart above. Having fallen every month between September 2016 and December 2017 Euribor has remained unchanged or risen in four of the last five months. Interest rates have a long way to rise if they are going to reach normal territory, as you can see from the chart below. But with Italy and Spain in political turmoil and with large public deficits, it’s unlikely that the ECB will raise rates significantly anytime soon. For now, though, the long period of falling rates appears to have come to an end. That said, money is still as cheap as it has ever been, and it looks like a good time to take out a long-term, fixed-interest rate mortgage to lock in today’s cheap cost of borrowing. 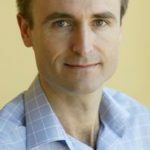 If interest rates, inflation, and Spanish property prices rise (as they are), buying a Spanish home today with a fixed-rate mortgage could turn out to be a good investment. New residential mortgage lending increased in March by 2.3% to 23,147 new loans, a much lower rate of growth than has been the norm in recent months, probably due to seasonality. The average new loan in March was €134,623, up 1.7% compared to last year. Whilst new mortgage lending keeps growing, house prices will keep rising.